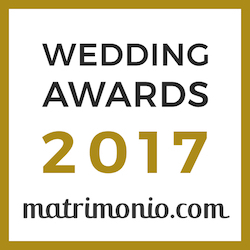 This new article “The best of Wedding Video 2016” follows the article previously posted regarding the “The Best of Wedding Photo 2016” that you can see clicking on the link here to Side, or on our FaceBook page. First of all, this Spot video wants to be a thanksgiving to all our customers, both who chose the video for the wedding day and who chose only photo shots. Within the video, Our Staff has inserted a small selection of the most beautiful scenes and shots of the 2016 weddings, starting from our Ferrara, through the provinces of Rovigo, Bologna, Mantova, Modena and Ravenna and visiting distant regions as Marche, Calabria, Puglia and Sardinia. Our team of Video makers and our Director have created this spot video following an editing rhythm to shape our video in a very contemporary way, not only with shots produced by fixed camera, but also with aerial scenes and photographs produced by our Drones. The video traces the various stages of a wedding,in several churches and locations placed in different regions, showing the most important moments which could characterize your future wedding day: aerial scenes Drone of the guests during the rice throw, panoramic shots of the Castle “Estense” and the Ferrara Walls, our beautiful Adriatic Sea, the bridges “Trepponti” of Comacchio pausing on filming the most romantic moments of our couples. Moreover, this article wants to communicate the news about 2017: The most important, our internationalization. for Wedding, Ceremonies and Events.